I would like to start off by saying how wonderful it has been to be a part of the running/blogging community. I've met some wonderful people who each have their own outlook on training and running in general. It has been awesome to follow these folks over the years and be a part of their journey. The fun thing about this is that everyone has their own agenda and is doing what works for them. Over the years, I've followed runners who have become more involved in running and racing and have set some lofty goals for themselves. 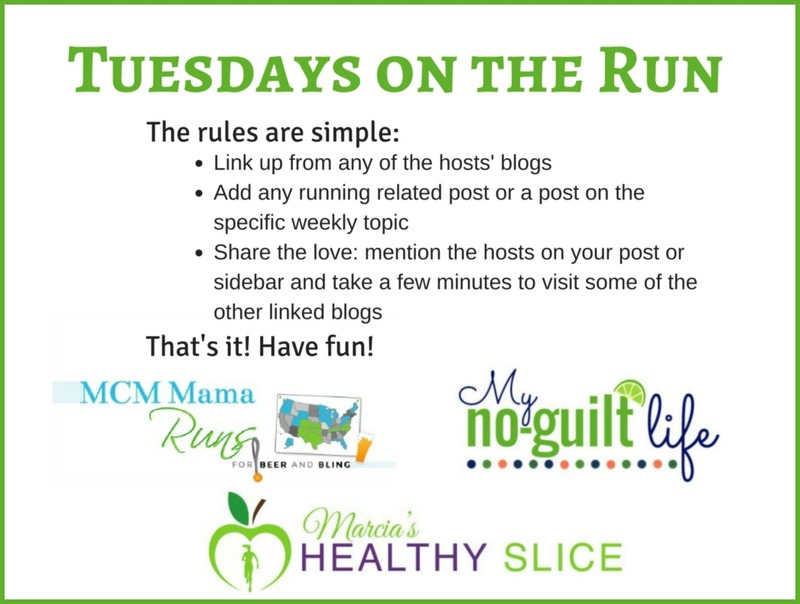 I've also followed along as some of my favorite running bloggers have slowed down a bit (not to say their running pace has slowed, but they aren't doing as many races and/or they are finding more balance with other things they enjoy in their lives. I of course fall into the latter category. There were a few years were I was running as many races as I could. I loved traveling for Race-cations, I loved the excitement of race day, and most of all I loved the triumphant feeling of crossing the finish line. I was setting goals for myself not because I really cared to achieve a certain goal but because socially I thought that's what I was suppose to do. I mean come on, you can't read a running blog or Instagram post these days without hearing about setting a PR or how to train so you can be "better". What kind of runner am I if I don't want to be better? Earning an Age Group award at my favorite hometown race! Truth be told, at this point I feel I have reached every running goal I have made for myself. Now granted, these goals were made in the very beginning of my running journey. This means that my time goals may not seem that ambitious and that's okay! I've hit my time goals for 5k, 10k, and half marathon, and have completed my goal of just completing a marathon! Other goals were to do certain destination races and to win an age group award. So you may ask, why not update your goals? Why not challenge yourself? And to that, I will respond with the best running quote I have ever heard. Credit for this saying goes to my friend Kim from Running on the Fly. O gosh this just sums it up. I don't want to look back on my life and think I didn't accomplish anything else I wanted to do because I spent three days a week after work and Saturday mornings on the trail running. Yes, the IG post afterwards will of course remind me that each run was a an accomplishment, but month after month what is it really that I've accomplished compared to all the time it took me to do it? I will admit that unlike my sister, running is not my natural talent. I have to work for it. However, I am talented in other areas and I think I need to take some time for those as well. I am in no way quitting running, I'm just saying that Kim has totally captured the essence of how I feel about it and I bet a lot of you may feel that way too. Good for you!! And gosh, leave it to Kim to speak some wisdom like that! I can totally relate to this. As much as I love running, it's not my natural talent either, so I always try to balance it with other activities. If you can head out the door for a run and come back with a smile on your face, that's as much of a win as any PR! I agree, it needs to make us smile! This year I'm taking a huge step back from racing. I'll still be running - I love it too much to quit it. But the racing is no longer my number one priority. I have other things going on in my life and I'm trying to find a better balance. Good for you for figuring out that you have other things to pursue and actually taking a step back to do so. I think it can still be fulfilling even if I don't do it full force. What other activities will you be pursuing? I love this quote too! I do love running just for the sake of running that's for sure. I haven't set many running goals lately but that's not to say I won't in the future. I just go with what I feel like. I do feel bad for people who let running RUN their life. There are so many others things to experience! 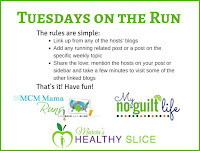 I've had to distance myself from blogs where pwiome run twice a day, run when they are very sick or injured... that is just not motivating for me to read about. I think you do a good job balancing running with other activities. I know you have your puzzles, wine tasting, travel, your musical, etc. It all came from Kim! Isn't it great? Such a good point! I question even setting running goals any more because they seem to lead to disappointment. However, I just cant stop! Running is definitely fulfilling all on its own- even if I never achieve another running goal I will still be happy if I can just run! I'm glad you are enjoying running without the pressure to set goals! Wow, what a great quote. It's pretty perfect I'm in a little bit of a different boat this year with my running and just trying to keep my fitness up and not get injured. It is definitely different, but I'll see what I can do. I like to participate in races so I do enough to make sure I don't get injured too! Running defines me. It has evolved with me as I've moved through the decades of my life. I don't see a life without it, but I do plan on continuing to run as long as I can. I hope you are able to run as long as you'd like! Awhhhhh ;-) Hugs all around ;-) I'm thankful there are others out there like me who don't live & breathe for the next PR or award, but simply just love our sport for what it is. Thanks so much for sharing my quote, and articulating my thoughts behind it. Thank YOU for putting it out there. It's a great conversation starter for sure! I like seeing "fun" runners on IG but not the ones that are all serious about pace and stuff..lol. I can't believe I'm not following you on IG. What is your name? That quote is so true! My main goal for running is just for it to stay sustainable so that I can (and want to) keep doing it as I get older. And I think the main way for me to do that is make sure that it stays a balanced part of my life in a way that I have time for other priorities too :) And to make sure it stays fun instead of a chore! Yes, to stay sustainable! I don't care if i'm not getting "better". I just want to stay consistent so I can still do in in years to come! I'm glad that this was what you needed to hear! I have also pulled back a bit. 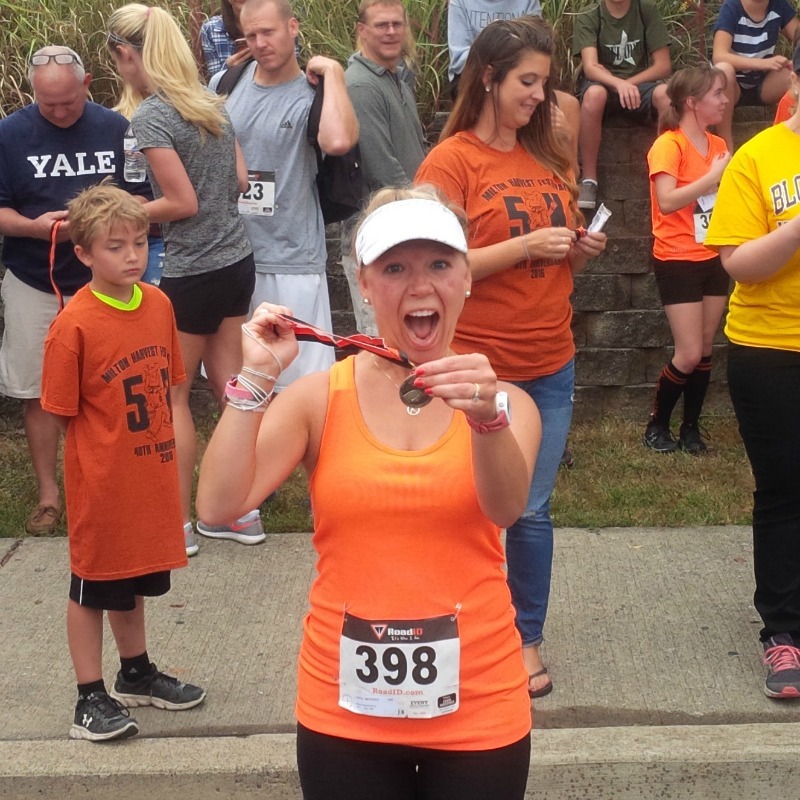 When I first started, I wanted to do all the races, and starting a blog seemed to put pressure on my running. Then my ITBS hit, and I was forced to take a running break while I recovered. Now, I do a couple races each year, but I'm having fun without the pressure. ITBS definitely makes you a more cautious runner for sure! I feel like I'm just actually getting BACK into running this year. The past few years, I've focused more on CrossFit and I needed that. I missed doing all the running though, and while I still did a couple marathons, you could tell I wasn't "trained" for them. I enjoyed my time away doing other things and now I'm happy to be back. I think I always need running in my life - I don't need races and we'll see what 2019 brings with regards to goals but I'm pretty sure I'll still be logging some miles for the sheer joy of it all. Wow, you did marathons when you claimed to be "away from running"? I will admit that when I was training for my marathons, the training consumed me! Kim said it so well! I'm definitely on the lower mileage end of runners for this exact reason! Running is awesome, but there's so much more in life too. Personally my kids/family are #1 and I also enjoy reading, writing... coffee... music. Stuff life that! Way to set smart boundaries for yourself! This is so great! I love the way you wrote this! and I agree, there are goals, but one has to realize one's owns plans. One has to make time for concerts, trips and some days just staying still. I totally get this and feel the same way. For me running Boston so far exceeded any expectation or running dream I had for myself, I've been very content since then, and it's been a lot of years already. I just don't have the desire to go longer or faster. I've gone long and fast enough. That's why I travel more to race now. It's a great way to see the world. I love everything about this. And of course Kim because she's awesome. I totally agree you have to find the right balance! Spoiler alert: none of us in the blogging world are going to win the Olympic Marathon. We do this for fun. And it should be fun! Finding the right balance is so key. I still enjoy the challenge of running (because yes, it definitely doesn't come naturally to me). And yes, there are times I think about all the time I devote to running, too. And sometimes it seems really silly. But then I think about how much better I feel after a run. I definitely have other passions, too. And I also think it's natural to see passions wax & wane. I really love that quote and it makes so much sense to me!